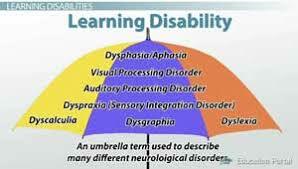 What is a learning disability or difficulty? This post contains information taken from talk by Beth Tarleton from the University of Bristol at the St John’s Chambers Fair Access seminar on 4th December 2014. A parent with a ‘learning disability’ has a IQ below 70; a parent with a ‘learning difficulty’ has an IQ above 70, but both parents may struggle with the same difficulties. Often, mainstream services don’t have experience of working with adults with learning disabilities or learning difficulties [LD] and may not use specialist assessments. There is little reliable data about how many parents currently face such challenges; there is an estimate of 53,000 in the UK with a diagnosed learning disability. Dr Sue McGaw (1997) estimated there are 250,000 parents with learning difficulties known to health and social services agencies in the UK. What challenges do parents face with LD in care proceedings? People don’t given enough consideration to other environmental or social factors which could impact on parenting difficulties. There is no consensus from research that children of parents with learning difficulties will automatically face poor outcomes; some studies find that children born to parents with LD are vulnerable due to poor parenting; other studies report that children can do well in the care of their parents if the parents are given support and help. assess/educate parents in their own homes and using their own equipment, wherever possible. Medway Council v A & Ors (Learning Disability; Foster Placement)  EWFC B66 (2 June 2015) deals with the failures of the LA to be fair to a parent with LD. 132. The last thirty years have seen a radical reappraisal of the way in which people with a learning disability are treated in society. It is now recognised that they need to be supported and enabled to lead their lives as full members of the community, free from discrimination and prejudice. This policy is right, not only for the individual, since it gives due respect to his or her personal autonomy and human rights, but also for society at large, since it is to the benefit of the whole community that all people are included and respected as equal members of society. One consequence of this change in attitudes has been a wider acceptance that people with learning disability may, in many cases, with assistance, be able to bring up children successfully. Another consequence has been the realisation that learning disability often goes undetected, with the result that persons with such disabilities are not afforded the help that they need to meet the challenges that modern life poses, particularly in certain areas of life, notably education, the workplace and the family. Competence-inhibiting support – meaning support that deskills parents, reinforces their feelings of inadequacy and undermines their independence. The research confirms the findings of previous research that access to legal services for people with learning disabilities remains problematic. The study adds detail and depth to our understanding of the barriers that they face, but also furnishes some of the potential solutions. It highlights the different needs of people with mild learning disabilities and those with more complex disabilities who rely on others to act on their behalf. The promotion of collaborative working between legal services and the social care sector. There is an excellent and informative article from the British Journal of Learning Disabilities about parents with learning disabilities and their experiences of having their children removed for not being ‘good enough’ parents. Its a useful reminder that there is no universal accepted definition of what exactly makes us ‘good enough’. Thanks to Matt Harding for bringing this to our attention. People with learning disabilities might have their children taken from their care. If they do, what then happens to the parents? I talked to nine mums who had their children taken away from their care. They told me about what this was like and how they felt. This research gives advice to people (particularly professional people) about how to work better with mums who have had their children removed. It also shows that sometimes it is difficult for people with learning disabilities to know their rights and say what they think. There is a recognised risk of parents with learning disabilities having their children removed. Little research has investigated the impact of this on these parents. This article looks at the perceptions of nine mothers with mild learning disabilities and their experiences having had their children removed. Interview data were analysed using Interpretative Phenomenological Analysis (IPA). Findings reveal the struggles mothers with learning disabilities faced being ‘suitable mother’ – including presumed incompetence and scrutiny of parenting. Participants’ responses to having had their children removed are looked at and support reviewed. Finally issues of power were highlighted throughout Participants’ accounts and the impact of this is discussed. Clinical implications indicate areas for service improvement. There appears to be an overwhelming influence of ‘powerful others’ upon the lives of mothers with learning disabilities. Before they even have a child, society seems to suggest they should not. When they do have their child, however, they appear to have to be better than ‘good enough parents’ and seem set up to fail by the standards of those monitoring them (Chinn, 1996 cited in Edmonds 2000). When the mothers do ‘fail’, powerful others remove the child. There seems little negotiation in this process. Few mothers appear to have advocates and the child is often then adopted –a decision sometimes not even made through court. To the mothers, the decision appears a foregone conclusion over which they have little control or choice. What then do the mothers do? How do they cope? They are left feeling helpless and bereft. They could turn to others for help but past experience has taught them that this may not be beneficial. Moreover, for many mothers it might mean turning to those who removed their child in the first place. Should mothers reveal their true feelings it might only serve to prove it was right to remove their children. Worse still, it could support the removal of yet more of her children. The mothers’ voices and feelings therefore seem to remain hidden and they attempt to block out upsetting thoughts and reminders. It appears their only solace is that one day their child might return. Meanwhile any contact will suffice. However, all this once again appears to rest in the hands of powerful others. ‘Care Proceedings and Learning Disabled Parents: A Handbook for Family Lawyers’ by Abigail Bond. A handbook for all those involved in care proceedings where one or both of the parents is learning disabled. The book sets out the relevant governmental policy and guidance in this area; examines the statutory framework relevant to adult learning disability social workers and children s services social workers where there is a parent with a learning disability; considers and analyses the legal and practical arguments and issues likely to arise in learning disability cases. Competency based assessment of support needs: PAMS 3.0 is a complete Parent Assessment Application used by social workers, psychologists and other professionals across the UK and abroad. Developed by psychologist Dr Sue McGaw. Good Practice Guidance on Working with Parents with Learning Disabilities [DoH and DoE 2007] Includes a summary of relevant legislation and policy, on how adult and children’s services should work together to improve support to parents with a learning disability and their children. This has been updated in 2018; see Guidance from the President of the Family Division. You may also be interested in this post on how the court should ensure proceedings are fair for parents who have a learning disability. See this post about how the court ensures fairness for parents with a learning disability. Working Together with Parents Network – supports professionals working with parents with learning difficulties and learning disabilities, and their children. Provides information and research about parents with learning difficulties, guidance, packs, toolkits and links to other organisations. Communicourt – Provides intermediaries at all stages of the legal process, to ensure the vulnerable client has a fair hearing, understanding the process, being involved fully in decision making and able to respond to questions if appropriate. Mencap -organisation with a vision for a world where people with a learning disability are valued equally, listened to and included and for everyone to have the opportunity to achieve the things they want out of life. Changepeople.org – is a human rights organisation led by disabled people and looking to build an inclusive society. The focus is on delivering real change in areas that matter. Choice Advocacy – a service based in Bradford that supplies free advocacy to adults with learning disabilities. This entry was posted in Advice for disabled parents/carers and tagged Disabled parents, good enough parenting, learning disabilities, Re D 2016, removal of child on February 15, 2014 by Sarah Phillimore.